If you wish to donate to relief efforts in the Phillipines, do so through a recognized charity. In many cases donations are tax deductible. 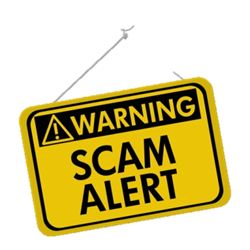 Be aware that some scammers will use names that are similar to well-known, legitimate charitable organizations. The IRS website (www.IRS.gov) includes a search feature, Exempt Organizations Select Check, through which people may find legitimate, qualified charities. You can also find a list of legitimate disaster relief organizations on the website of the Federal Emergency Management Administration (www.FEMA.gov). Never give out personal financial information, including Social Security numbers, credit card account numbers, or banking information. Do not send cash. Use a check or credit card to make your donation so that you have documentation and proof of the gift. For more information on which types of charitable donations may be tax deductible, visit IRS Publication 526, Charitable Contributions. For more information on protecting your personal information, or about tax deductions for legitimate charitable contributions, please call the Gray, Gray & Gray Tax Department at (781) 407-0300.